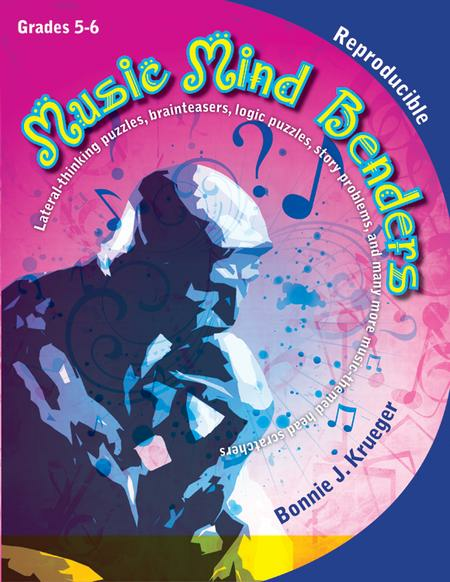 Lateral-thinking puzzles, brainteasers, logic puzzles, story problems, and many more music-themed head scratchers. Composed by Bonnie J. Krueger. Classroom Music, Critical Thinking Skills. Reproducible puzzle book. Heritage Music Press #30/2436H. Published by Heritage Music Press (LO.30-2436H). These reproducible puzzles require very little time, zero setup, and can be used with the entire class or as a quick team-building exercise--whatever best suits your teaching needs. A perfect way to begin class or rehearsal and to motivate students to buckle down and focus on the daily activities of the music classroom!